Author Elisabeth Miller with her grandaughter and the cousins. 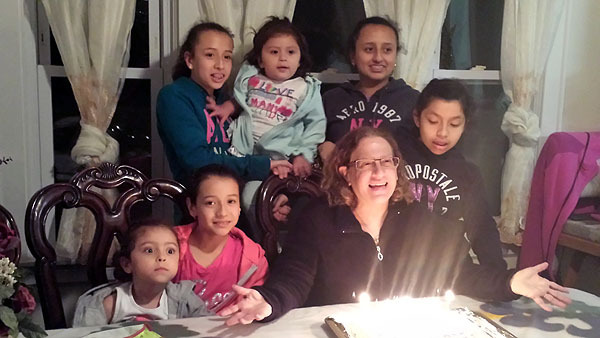 Elisabeth Miller lives in Providence RI in a four generation household with her parents, her son and his wife who are from Guatemala, her granddaughter, and a dog and a cat. She works in international sales and teaches Spanish at a community college and writes occasionally to document some of the craziness and make it somehow less crazy in doing so.